The Ulster Unionist Party’s justice spokesperson would like to see more civil legal cases being taken against republican leaders for the roles they played in the Troubles terror campaign. 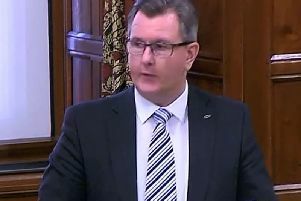 Doug Beattie MC MLA spoke in response to legal action being taken against the MoD by relatives of an Official IRA man who was allegedly shot dead by soldiers in 1972. Joe McCann died in disputed circumstances in the Markets area of Belfast. In 2013 a report by the Historical Enquiries Team found the killing unjustified. Mr McCann’s relatives are now issuing a civil writ against the MoD and the attorney general for allegedly unreasonable delays in conducting an effective investigation into his death. Belfast-based law firm KRW Law said that to date there has been “no human rights compliant investigation” . The Workers’ Party, closely associated with the OIRA, said all Troubles victims and their families “have the right to prompt, thorough, effective, independent and impartial investigation through a system which is transparent and human rights compliant”. Agreeing that “everybody has the right to bring a civil case”, Mr Beattie commented: “I just wish more people would take civil cases against those who orchestrated and conducted the terrorist campaign in Northern Ireland. Mr Beattie said the case also highlights the fact that a statute of limitations for military personnel would not block civil cases and argued that such a law “would mean absolutely nothing”.